8 Reasons to Visit Iran Right Now! Didn’t have the chance to visit Iran yet? So do not hesitate to start a memorable journey and if you have been there before, no problem, it’s time to come back home again. The only thing you have to worry about in Iran is time because discovering such a wide and beautiful land is a little bit time consuming. Iran is the land of ancient life and civilization with historical and urban settlement dating back to 4000 BC and even older, and also the world’s largest and first ancient empire, the Achaemenid Empire (550–330 BC). So many of their glorious edifices and palaces have survived the wars and natural disasters. They are now the most valuable and remarkable world heritages. From north to south and from west to east of the country, there are endless spectacular ancient sites that satisfy all types of curious travelers. 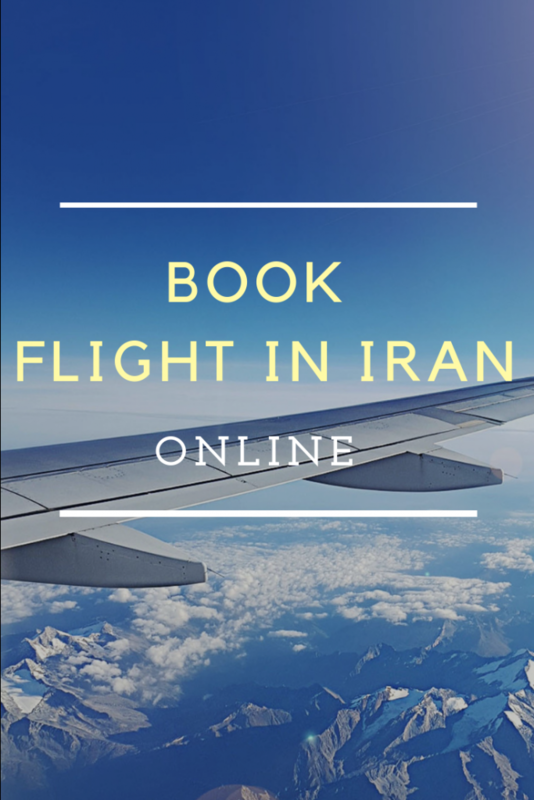 you can get Iran visa at ultimate ease with 1stQuest. Iran was a kingdom for centuries before the revolution in 1979. Inheriting the heritage of several dynasties, today, there are hundreds of historic mansions, palaces, caravanserais, and bridges with a variety of spectacular architecture and design that even most of the professional domestic travelers haven’t found enough time to discover all of them. 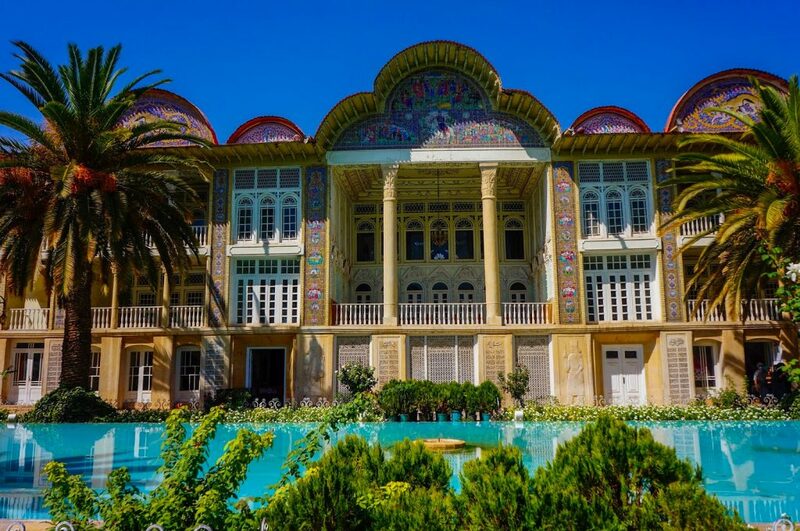 Golestan Palace in Tehran, the UNESCO’s World Heritage Site, is a masterpiece of Persian architecture and decorative. Naghsh-e Jahan Square, another UNESCO listed site, other beautiful mansions and palaces, and many historic bridges cross the Zayandeh Roud in Isfahan are the most popular spots for tourists in Iran. 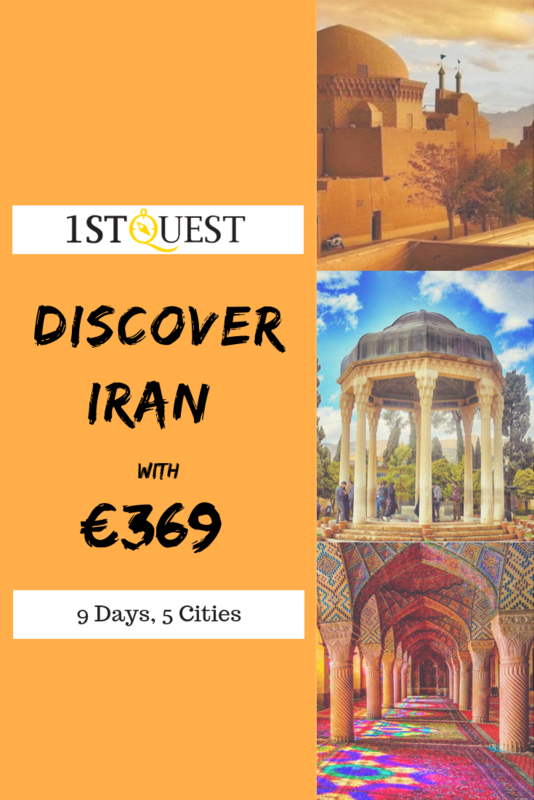 you can book the best Isfahan hotels with 1stQuest. There are tens of Beautiful mansions with traditional Persian architecture with the Howz (a centrally positioned symmetrical axis pool), Iwan (a rectangular hall), and courtyard, especially in Kashan and Yazd where few of them are cozy hotels now hosting the guests, come from all around the world. Shrines and also Tomb of famous historic poets and scientists are other attractive places because of their spectacular architecture and gardens in around. The tombs of Hafez and Sa’adi in Shiraz, tombs of Ferdowsi and Khayyam not so far from Mashhad, and the tomb of Avicenna, the father of early modern medicine, in Hamedan are other popular tourist sites in Iran. if you want to how many days is enough to visit Iran, check out this article: How Many Days to Visit Iran? Mosques with their exquisite architecture had always been the main symbol of Islamic heritage in art and architecture. Combined with Persian art, Iran’s historic mosques undoubtedly are the most stunning mosques in the world. Sheikh Lotfollah Mosque, built in early 17th century with its unique architecture is located at Naghsh-e Jahan Square in Isfahan. Nasir Al-Mulk Mosque, also known as the Pink Mosque in Shiraz, built in the 19th century is not famous for the minarets or domes but for its colored stained glass windows that create a breathtaking scenery of dancing colors on the floor of the mosque in early mornings. 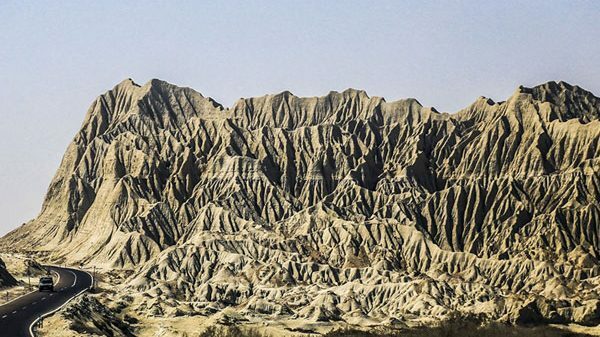 if you want to have a perfect trip to Iran, check out this article: 7 Tips to Have a Perfect Trip to Iran! People with different religions had been lived together in Iran without any problem through the centuries. This could be seen in the variety of historic churches located all around the country. The Armenian Monastic Ensembles of Iran, the UNESCO’s World Heritage Site in the northwest of the country is one of the oldest churches in Iran and also in the world. 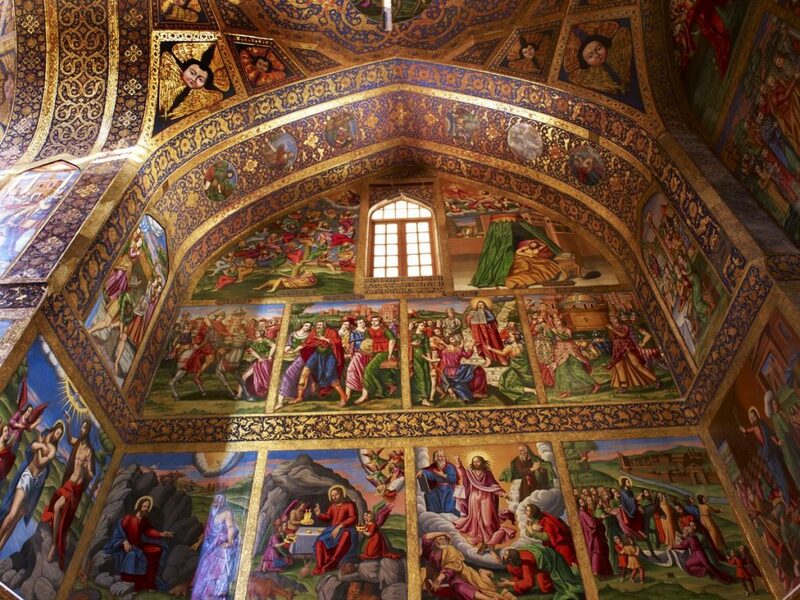 There are also more than five historic churches in Isfahan like Vank church. Located in a strategic area on the Silk Road, bazaars in Iran had been one of the most important world’s commercial hubs over the centuries. Their unique structure and architecture made them the tourist favorite for walking, shopping and also mixing with friendly locals that are always eager to talk and share their culture with foreigners. 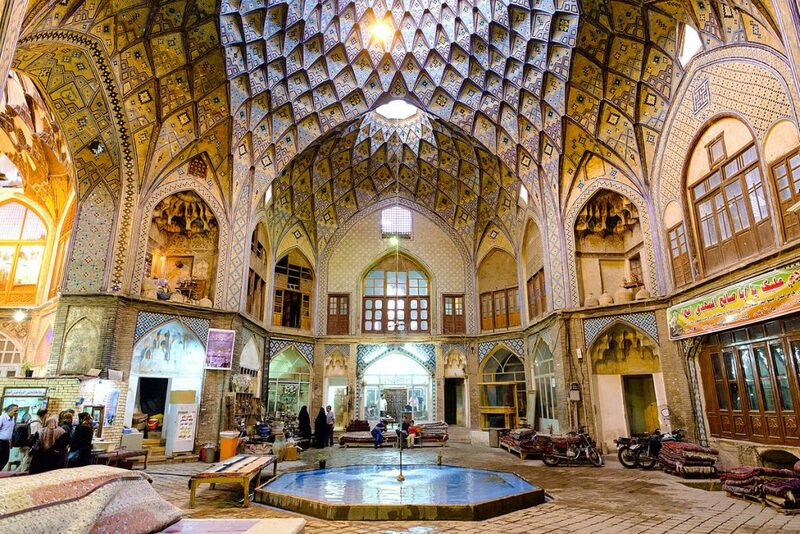 Tabriz Historic Bazaar Complex, the UNESCO’s World Heritage Site, Vakil Bazaar in Shiraz, Kashan’s Grand Bazaar, and Tehran’s Grand Bazaar and Tajrish Bazaar are the most famous and beautiful bazaars in the country. 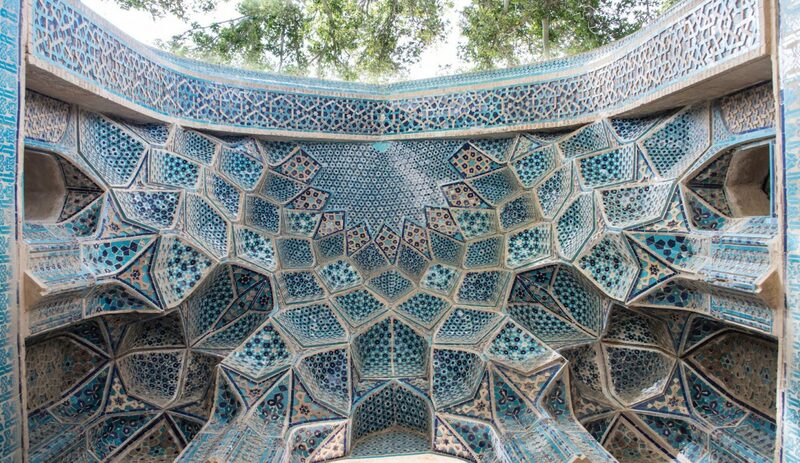 The spectacular gardens with their unique design are other must-be-seen places in Iran. 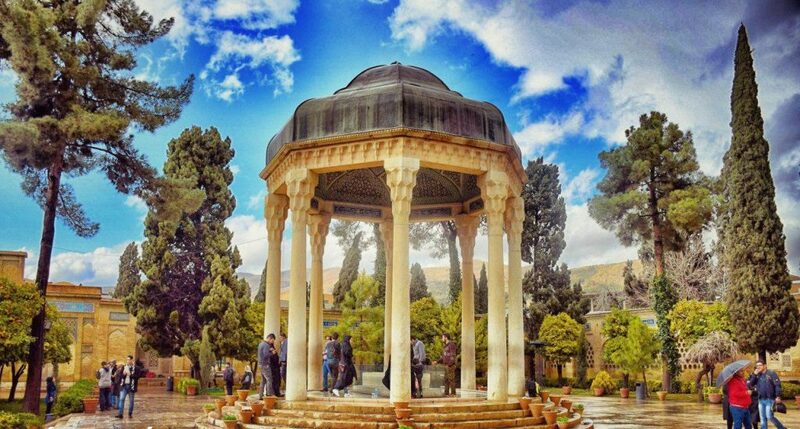 The Persian Garden dating back to 6th century BC is also one of the UNESCO’s World Heritage. According to UNESCO, these earthly paradises symbolize Eden (paradise) and the four Zoroastrian elements of sky, earth, water, and plants. 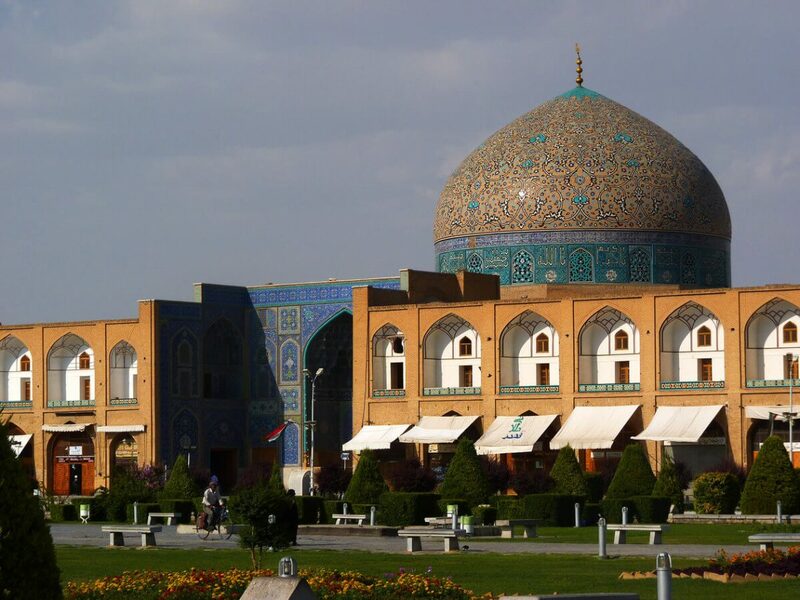 The most famous country’s gardens are located in Shiraz, Tehran, and Isfahan. Since these gardens had belonged to the kings and their lords, They usually feature a palace or a mansion with beautiful architecture and design. 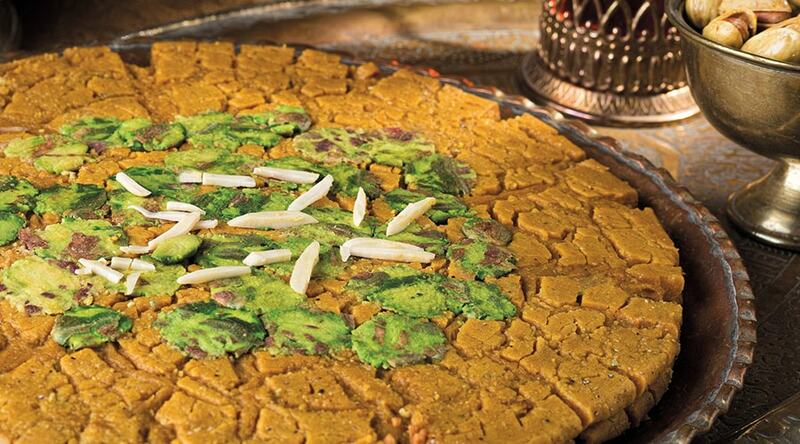 Iran has a lot to do with pastries, candies, herbs, and dried fruits. Tasty Gaz and Pulaki, Isfahan’s specific nougat and candy, Shirini Yazdi (Yazdi sweets) the Yazd’s specific pastry, and Qom’s Sohan, a traditional brittle toffee are easily found in all Iran’s candy stores. Don’t forget to taste Faloudeh Shirazi in Shiraz, a tasty sorbet specific to this city. Kashan’s famous rosewater, Kashmar’s saffron, and Kerman’s pistachios are other famous Iran’s souvenirs to full your bags with. Tehran Museum of Contemporary Arts (also known as TMoCA) with a beautiful architecture inaugurated by former Iran’s Empress in 1977 adjacent to a lovely park in Tehran is considered to have the most valuable collections of modern Western masterpieces outside Europe and North America. 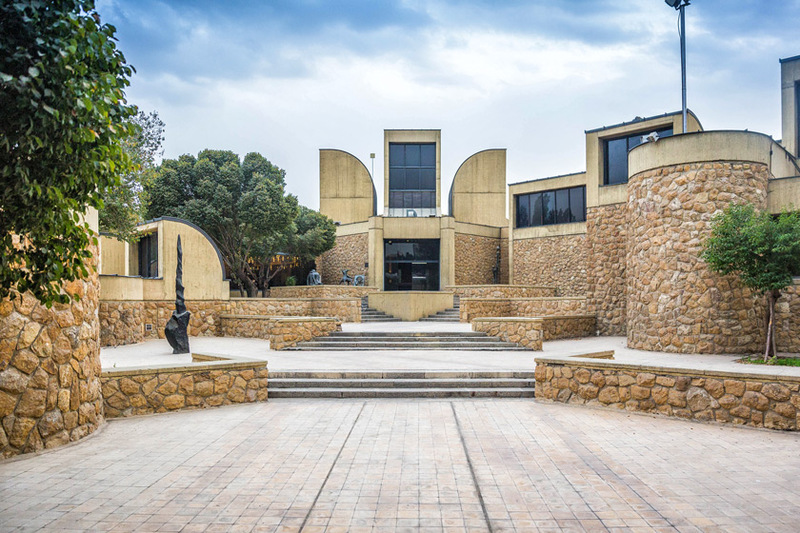 Tehran Museum of Fine Arts is another spectacular museum that is a part of Sa’ad Abad Complex hosts remarkable Iranian and also European masterpieces dating back to 17th to 20th centuries. There are also hundreds of small museums as part of the historic gardens, mansions and palaces around the country. One of the most important thing that makes a trip more pleasant is finding a nice place you accommodate. Budget, affordable or luxury, that’s not the question. Traveling as a backpacker, a family or a group, you will always find your desired hotel from simple on budget hotels, and cozy traditional houses to luxurious large international ones. Hospitality standards of Iran’s hotels are a little bit different from international hotels, but you will definitely have a relaxing and convenient accommodation there. 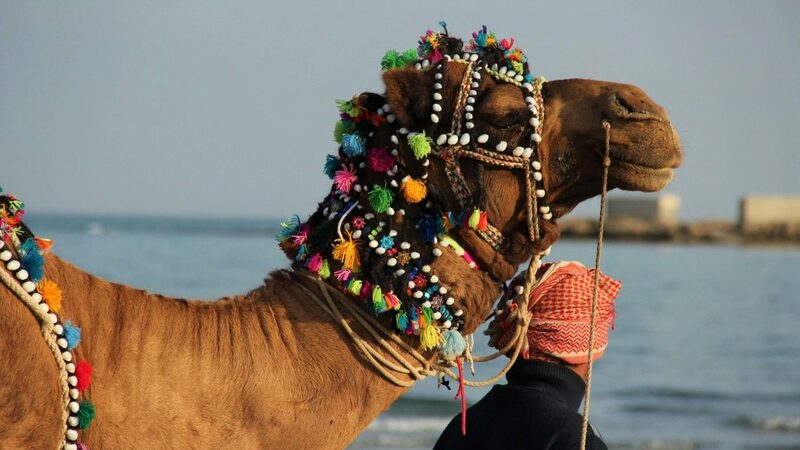 So do not hesitate to visit Iran! here you can find the best boutique hotels in Iran.